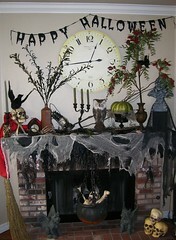 Get in the Halloween mood by spooking up your mantel and garnishing your front steps or yard with pumpkins and décor! For millions of us, Halloween is one of the most anticipated holidays of the year with candy, costumes, and good old-fashioned scary fun. In fact, it’s so fun that a record-setting 70 percent of Americans celebrated Halloween in 2011, according to the U.S. Census Bureau. Are you one of those fun lovers? If so, perhaps it’s time to get into the mood and decorate your house! Fireplaces are the heart of the home. 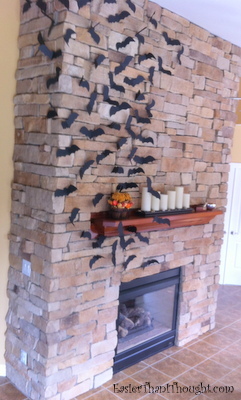 They are warm, inviting and offer a perfect setting for creating a Halloween décor masterpiece. Check out these ideas. 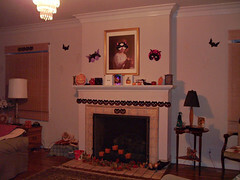 Remember that fireplaces make fire, so be careful not to put any decorations near areas that may become hot. The universal symbol of Halloween, the pumpkin, is to the average person what a palette is to an artist. Go ahead and get creative with a few pumpkins this year! Here are some ideas. 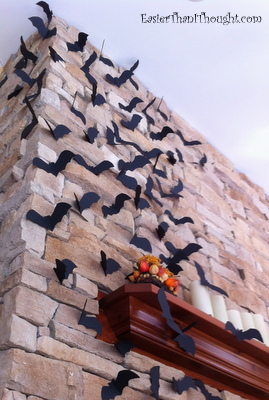 The spaces outside your home will look great adorned with Halloween décor. Check out these simple and affordable ideas. Before and After: Add a Gas Fireplace!